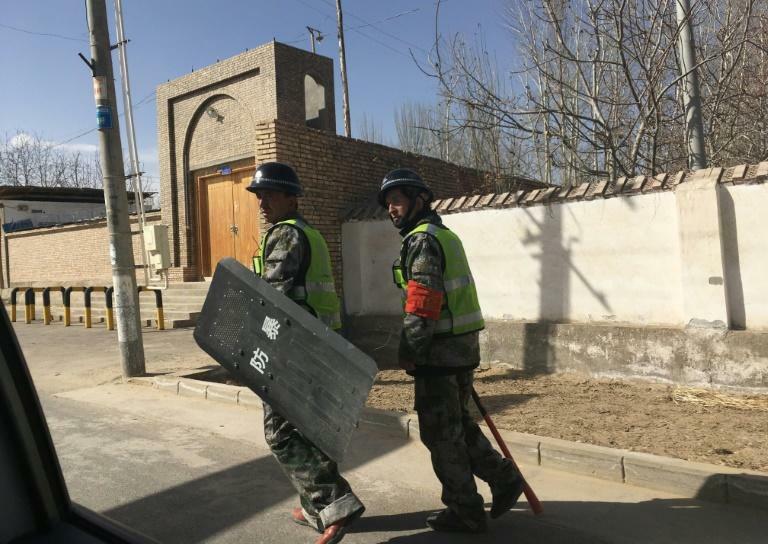 China on Friday took issue with a UN report that called on Beijing to release ethnic Uighurs detained "under the pretext" of counterterrorism, saying its findings had "no factual basis". Up to one million Uighurs and other Muslim minorities have been detained in internment camps in China's far western Xinjiang region, according to estimates cited by the UN Committee on the Elimination of Racial Discrimination, which said it was "alarmed" by the reports of discrimination. "There is no official data on how many people are in long-term detention or who have been forced to spend varying periods in political 're-education camps' for even non-threatening expressions" of their Muslim faith, the committee's report said. But Beijing has hit back at the findings. "These comments... were based on so-called information that is yet to be verified and has no factual basis," Chinese foreign ministry spokesperson Hua Chunying said at a regular press briefing. Hua added that China was acting as necessary to combat extremism and terrorism on the country's western frontier. "The sense of security and the fulfilment of people in Xinjiang has been greatly enhanced," she said. "As for all the preventive security measures we've taken, many countries around the world do the same." Beijing has defended its security crackdown, saying that it has brought peace and stability to the region. The report, released on Thursday, follows a hearing in Geneva earlier this month where some 50 high-level Chinese officials took questions from the committee. A bulk of the findings were directed at concerns over discrimination at against minorities, the lack of a comprehensive law criminalising human trafficking, and China's lack of a refugee law.